David Ciaramello (727)709-8999 or vtwinflh@aol.com Florida. 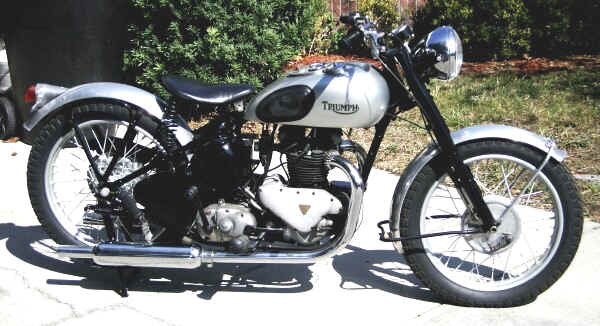 The bike is a fully restored Pre-Unit 1947 Triumph Speed Twin 3T. It is not "all original" but is darn close. Purists will complain, but hey, he did his best. This is a great little (350cc) bike, that can give the buyer many years of riding pleasure. The bike has new paint on the frame and tank with an embedded logo, the tires are new and have less than 25 miles on them. 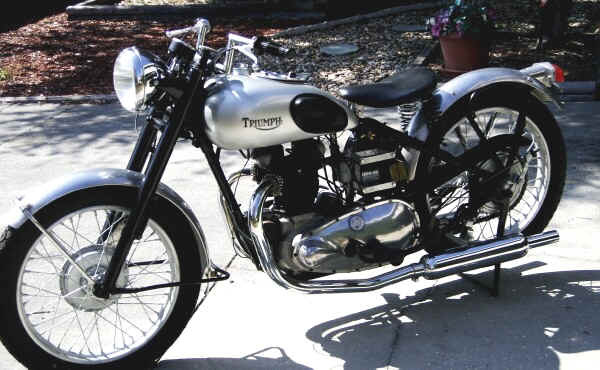 The bike rides and runs great. New parts include Tail Light Assembly, Seat, Full Exhaust System, Headlight Nacelle, Knee Pads, Gel Battery. We completely re-wired the bike, and all of the gauges work correctly. The Speedo has been rebuilt by a Speedo Specialist we found in Florida (St Pete, I think). Everything that needs to work does! !